The lumbar spine has relatively low tolerance to rotation in comparison to other spinal segments. Therefore, a lower back injury is commonly associated with twisting or torsion of the lumbar spine. A lot of low back pain injuries occur during the backswing axial rotation that exceeded the golfer’s pain-free maximal rotation in the neutral position. Facet joints of the lumbar spine can be injured easily with only 2-3 degree of intersegmental rotation in the spine. The most commonly known mechanism of injury for a disc herniation in the lumbar spine involves axial compression, rotation and side bending of the lumbar spine. There are a few types of injury for lower back that present in golfers. 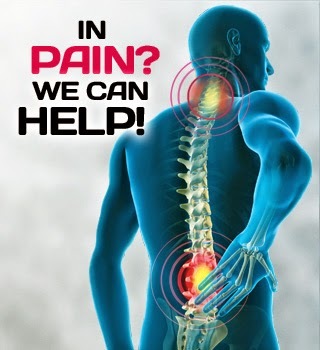 Mechanical factors such as muscle strain or spasm, discogenic problems, spondylogenic pain or facet-related injuries can cause pain in the lower back. Some other less common factors of low back pain such as infectious, autoimmune, oncologic, abdominal, pelvic visceral causes and psychogenic factors should not be missed and overlooked. However, mechanical factors are the more common reason for lower back pain in golfers. Mechanical lower back pain usually present as a localised back pain with associated muscle spasm or tightness and restricted movements in the facet joints. 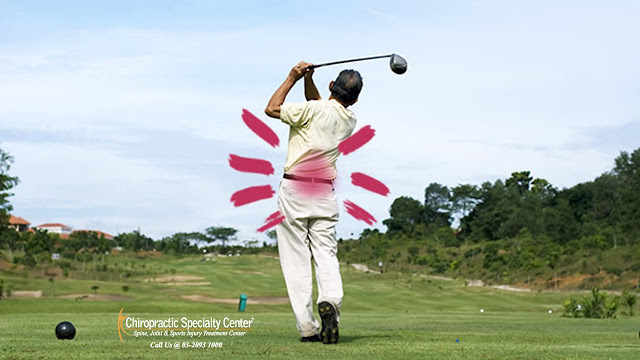 The pain can be relieved by relative rest and can be aggravated by movement, such as swinging a club. The pain can have a sudden onset or it can happen gradually. The biomechanics of the swing and overuse are the main reasons for mechanical lower back injury.